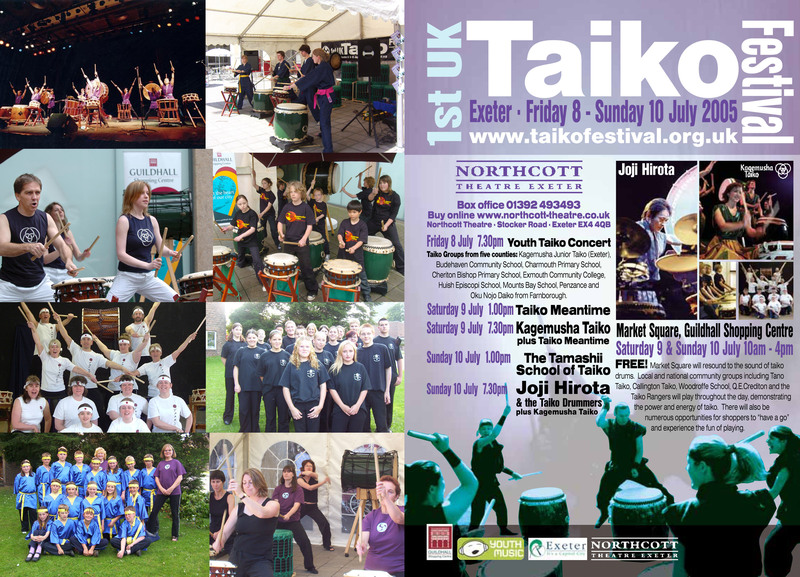 featuring Tano Taiko, Callington Taiko, Q.E. 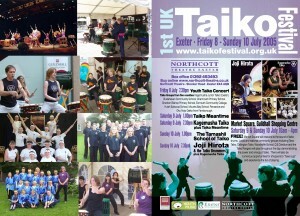 Crediton Taiko, Woodroffe School Taiko, the Taiko Rangers and Oliver & Katja from Yo Bachi Daiko, Hamburg. See also: 2nd UKTF; 3rd UKTF; 4th UKTF; 5th UKTF; 6th UKTF; 7th UKTF; 8th UKTF; 9th UKTF; 10th UKTF; 11th UKTF; 12th UKTF.